Trusted, Proven Burlington Landscaping Company – 416-707-9492! 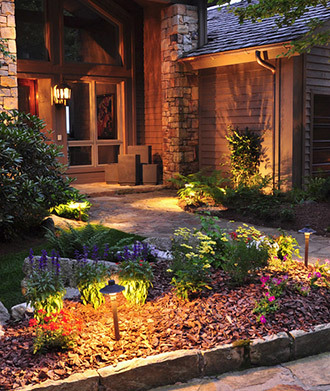 Couture Landscapes is a Burlington landscaping company specializing in quality landscaping and yard drainage. 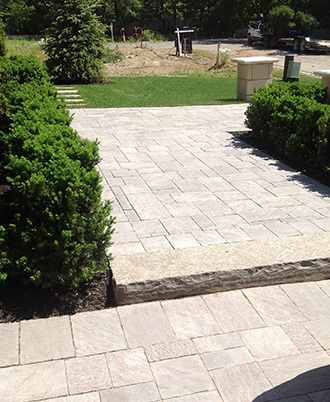 Their years of commitment and experience have made them one of the top go to landscapers in the GTA. With our help, you can turn any outdoor space into an elegantly divine living space worth enjoying. Every home is different and a unique landscape can significantly boost the visual aesthetics of the home, regardless of how old it may be. Whether you’re thinking of redesigning the front yard, backyard or pathways; we can ensure a magnificently pleasing finished look. The combined experience of our landscapers and consistent professional and courteous service has made us one of the most recommended Burlington landscapers. We highly believe in customer satisfaction and always make it a priority to put the needs of our customers first. We closely work with our customers to understand their needs before carrying out our work. When you choose Couture Landscapes to transform your outdoor setting, you’re choosing to work with a fully insured company. With the help of innovative tools and machinery, our customers get to enjoy the services of a fully equipped landscaping company at a highly competitive price. We’re able to deliver timely services at a budget that is incredibly affordable for you. Among our landscaping services, our experienced staff can help provide functional irrigation solutions, drainage systems and retaining walls. We only use quality materials and equipment and abide by all safety standards and building codes to offer a superiorly strong finish that will stay as is for decades to come. With a proven track record in providing amazing service, results and satisfaction, we are your local experts for landscaping in Burlington. From the very minor design details to the large design aspects, Couture Landscapes makes it a priority to take everything in their hands, leaving their customers worry-free. For an eye-pleasing outdoor setting for your home or green space, please don’t hesitate to call us today at 416-707-9492 for a free estimation. As your Burlington landscaping experts, our courteous and well-trained staff will ensure your needs are met from the initial estimation to the final delivery date.